Moolavine Review – What is “Reverse Affiliate Marketing”? Yesterday I discovered, and immediately joined an amazing program called Moolavine. After you’ve been involved in Affiliate Marketing, especially with programs like JVZoo, you begin to realize that there are millions of dollars to be made, but most of the market share, especially in the Make Money Online niche, goes to a small number of well known marketers who have branded themselves through successful product launches, partnerships with other established figures, or quite honestly, a high skill level in conventional marketing. They sell the dream of being like them and making as much as they do, but it’s hard to break into the inner circle of that world. Most “newbies” are advised to sell other niche items, like wood-working plans, health products, etc…until they have the income proof and a success story to command credibility with MMO customers. You also hear a lot about “Buyers Lists”. There are literally dozens of ways to build your list, but there’s a catch-22 some of you may have picked up on. If you trade something free for contact information, you get a large % of contacts who only want free things and won’t spend any money with you. Because the established marketers build their list from people who have purchased their products, they actually make money when they send e-mails promoting other people’s products as an affiliate. The million dollar question is how do you build an actual network of proven buyers? Again, we know they’re out there, but all concentrated around that inner circle! Bryan Winters is a marketer & software developer known for disrupting traditional markets with innovative viral list building programs like 5iphon and DualSqueeze. Now, he’s outdone himself by figuring out how to deconstruct the affiliate market, turn it inside out, and make it work for “the little guy”. The video in the sign up page does more justice to the program than I could, but here’s the basic scenario. First, take stock of how much you’re actually purchasing from JV Zoo and Clickbank (not just in MMO but all their products) from all the well known marketers who’s lists you’re on. 1. You sign up for a free Moolavine account and watch the introductory video. 2. This is critical (and welcome if you’re spread too thin and not focused on a consistent program) – you change your focus from promoting this or that to exclusively inviting people to this program. You’ll see why in a moment. 3. Stay on whatever lists you’re currently on, listen to what your current marketers have to say about the latest product, training or software, do your due diligence, but DON’T buy from them. Instead place a purchase request in Moolavine for the product you intend to buy. The person who invited you will provide an affiliate link for you to buy through. 5. When your account is in “Green” status, the people who joined from your invitation will likewise send purchase requests, which will go to your inbox. YOU PROVIDE YOUR JVZoo or CLICKBANK AFFILIATE ID AND GET THE COMMISSION WITHOUT SELLING TO THEM! After signing up, you’re offered a discounted monthly membership that keeps your account green without a purchase requirement. THIS IS NOT NECESSARY if you know you spend $30/month on products or better yet you tend to make a few large purchases that can keep you green all year! If this is your case, you only need the upgrade if you want to earn 50% residual commissions on the people under you who also take the upgrade (similar to DualSqueeze’s upgrade). While it’s not in the sales funnel, the screen has another upgrade offer for a traffic co-op. 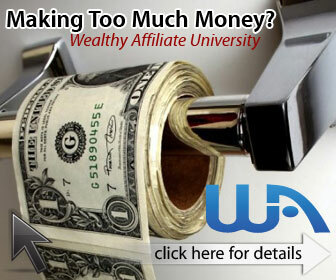 You pay a monthly fee for a share of general traffic that goes to the Moolavine site without a member invitation. It’s impossible to evaluate the effectiveness of the shares at this time because the program is still in Beta. At the time this is being written, the program is in Beta phase and there are about 6,600 members. Bryan Winter’s last program currently exceeds 34,000 members, but it’s apparently slowed down. So you want to get as many people in your co-op as you can before they join under other marketers! After that, you don’t really need to do much, because your invitees will be properly incentivized to purchase from you on an ongoing basis as long as you respond in a timely manner to their purchase requests!